While this website has made its name focusing on the lesser known youth of this beautiful sport, and combined it with a tinge of tactical flavour meant for the football enthusiast, we found a large gap to be exploited in terms of combining the two. This mini-series thus focuses on young managers (below the age of 45) and their tactical philosophies, deriving what got them here and where they could go. Patrick Mills has a look at Patrick Vieira’s rise in recent seasons. Born in the Senegalese capital of Dakar, Patrick Vieira moved to France at the age of eight. His talent for football was quickly noticed and following development years at FC Drouais and Tours, Vieira began his professional career with Cannes in 1994. He captained Les Dragons Rouges at just 19 before being snapped up by Italian giants AC Milan. The young midfielder failed to break into the first team during his first spell at San Siro and opted to link up with fellow Frenchman Arsene Wenger at Arsenal a year later. Vieira went on to win three Premier League titles in North London, even going unbeaten in the 03/04 season. He also won three FA cups with the Gunners before departing in 2005 to join Juventus as Wenger put his faith in youngster Cesc Fabregas. Juve won the title in the campaign that followed but were stripped of the honour and relegated to the second tier for match fixing. Vieira moved back to Milan, this time with Inter, and spent four consecutive title-winning years with the Nerazzurri. He then chose Manchester City as a suitable club with which to wind down his career, under the management of his former Inter coach Roberto Mancini. Vieira’s international career was equally successful, earning 107 caps for France and lifting both the World Cup and the European Championship. “He (Brian Marwood) put me in a situation I’d never been in before. I was surprised that I quite enjoyed it”. After two years with the EDS, Vieira began attracting interest from senior teams, most notably Newcastle United. Following brief talks with the Magpies, both parties opted not to take things further with Vieira citing a difference in policies as the reason for not taking over at St. James’ Park. Just a few months later, Manchester City’s sister club New York City came calling and he was appointed head coach for the forthcoming 2016 season. 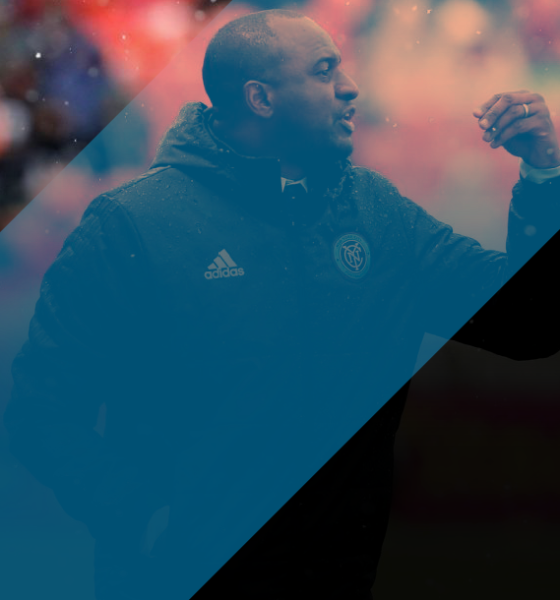 In his first term in charge of NYC, Vieira lead his team to second place in the Eastern Conference, eventually losing in the play-off semi-finals to Toronto FC. This season, City lie second again, nine points behind Toronto. As a player, Vieira generally played for teams that succeeded by combining physical and technical prowess. His own game, in fact, was based on this juxtaposition. To a certain extent, Vieira’s philosophy as a coach has grown to resemble his playing days. He appreciates the need for the marriage of players with valuable technical attributes and players who offer beneficial physical traits. The physical and technical profiles of the players in Vieira’s squad are what allows him to successfully implement this approach. In the pivot role, Andrea Pirlo’s talents are ideally suited. The veteran Italian is adept at scanning the space around him, making last second movements to receive the ball in space and at the right angle, before utilising his world-class passing range to find a teammate in the attack. Additionally, both wingers, Jack Harrison and Rodney Wallace, have the dribbling ability and the pace to take advantage of 1v1’s while Villa, despite being 35, still has enough pace to get beyond defences, as well as the finishing ability to complete the move. Even when opponents drop off and allow City to carry the play out of their half, Vieira’s side remain heavily wing-orientated with Pirlo playing a quarter-back role in finding them. When Pirlo is absent from the starting XI, Yangel Herrera sits in front of the defenders, who will often bypass the Venezuelan and pick out Maxi Moralez further forward in midfield. From here, Moralez can turn and feed the wide areas or play a through ball to Villa. Another noticeable feature of the philosophies is the use of intelligent strategies for breaking teams down. These include creating 1v1’s out wide by building on the opposite side before switching the point of attack, runs from deep to find players unmarked in the final third, decoy runs to create space for teammates and the use of low crosses and cutbacks as a valuable way of creating quality goal-scoring chances. All of these tools can be recognised in both New York and Manchester City’s approach. Vieira’s attention to detail has also been noted during his spell in New York with pre-planned counter-attacks, plays and set pieces all commonly displayed by his team. New York City 4-3 Chicago Fire, March 6th, 2016 – This was Vieira’s managerial debut in the senior game and it was certainly a taste of what was to come. Following a pre-season of coaching the players with his methods, City displayed patient build-up combined with direct attacks right from the beginning of Vieira’s era. They managed to convert four of their impressive 20 shots and controlled 62 percent of the possession. However, defensive frailty was clearly carrying over from the previous tenure as the Pigeons struggled to contain the Chicago Fire attack. All in all, Vieira’s debut was a successful one and gave fans at the Yankee Stadium a glimpse into the future under their new manager. Toronto 2-0 New York City, October 30th, 2016 – Despite going on to lose this tie 0-7 on aggregate and crashing out of the play-offs as a result, this fixture marked an impressive rise in a short space of time for New York. After finishing third from bottom of Major League Soccer’s Eastern Conference in the club’s first season of existence, City improved dramatically under the guidance of Patrick Vieira in 2016 and were rewarded with a playoff semi-final meeting with Toronto, following a second place finish in the league. Getting this far in his debut season in management illustrated Vieira’s huge potential. New York City 3-2 New York Red Bulls, August 6th, 2017 – The Hudson River derby is a rivalry with little history but in the few years since both sides first faced off, it’s the Red Bulls who have dominated the spoils. A 0-7 loss was the most embarrassing outcome back in May last year. Last month however, City gained bragging rights with an hard-earned 3-2 victory thanks to a hat-trick from the talismanic David Villa. The win pushed them five points clear of their neighbours in the league table, while David Villa increased the gap in goals scored this season with Red Bull’s Bradley Wright-Phillips to four. Jack Harrison – Following seven years with Manchester United’s youth academy, Harrison moved to the United States at the age of 14 due to his mother’s caution when it came to young footballers in England overlooking their education. It’s a move that has so far paid off. He went on to play for Manhattan soccer club before joining up with Vieira’s squad last season. Now 20, the pacey winger is viewed as one of the brightest talents in MLS. He is reportedly attracting interest from Championship and Premier League clubs in England and Vieira has no doubt helped him generate that interest. Yangel Herrera– Immediately after joining Manchester City from Atletico Venezuela in January 2017, Herrera was loaned to New York City. He has impressed in his 14 MLS appearances to date and captained Venezuela’s U20s to a second place finish in the summer’s World Cup. The 19 year old is a combative midfielder whose game is focused on winning the ball back and giving it to his more attack minded teammates. Vieira has already helped Herrera progress as a player and he represents an ideal mentor for him to learn from over the coming months. R.J. Allen – In 2015, Allen had virtually given up on making it as a professional footballer and began coaching youth teams instead. Shortly afterwards however he was offered his first MLS contract at the age of 25 by NYCFC. He has gone on to make almost 50 appearances, mainly as a right-back, and has been a consistently solid figure for the Blues. Born in New Jersey, he will be hoping to top off his rapid rise by earning a call-up to the USMNT. Should he achieve this, Allen will owe a lot to Vieira’s guidance over the past two seasons. Vieira’s side remain in a good position to make the play-offs again this year and should they perform better this time around, the 41 year old will almost certainly draw admiring glances from Europe. He does, however, seem content in the Big Apple and who would blame him? 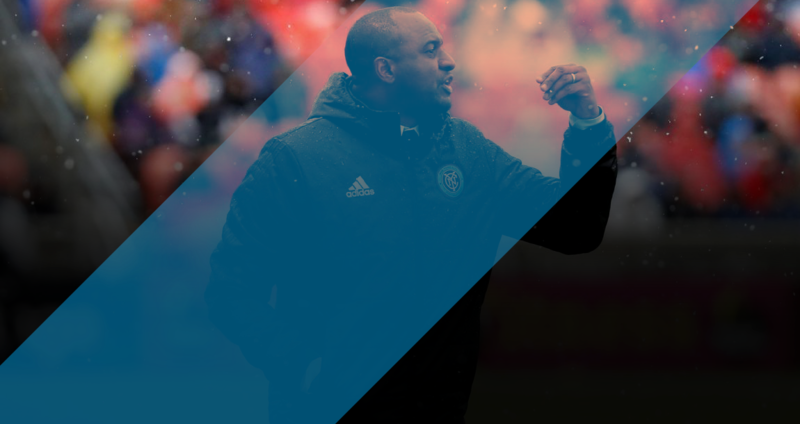 MLS and New York City FC specifically provides Vieira with a better environment to learn and improve as a coach without the constant threat of being relegated or sacked. He recently acknowledged rumoured interest from Saint Etienne before reiterating his desire to continue his project in the US. Vieira may be happy to remain in the MLS for now, but considering how successful he was at the very highest level during his playing career, it appears a question of when, and not if, we see him take the helm at one of Europe’s biggest clubs. He represents a potentially ideal heir to Pep Guardiola at Manchester City, while a return to Arsenal would surely be well received by all concerned, too.